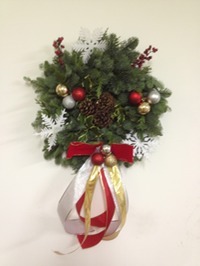 Four B's Farm - Holly, Wreaths, Honey, Turned Items for your Christmas/Holiday Season or just anytime. �Welcome to 2016! 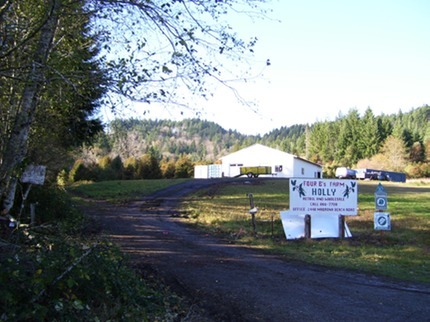 Four B's Farm is located west of Olympia, Washington on Highway 101. The property is near the southern-most waters of Puget Sound. �Business owner Robert Bower is a retired Coast Guard officer who returned to Olympia with his family after his 1988 retirement. 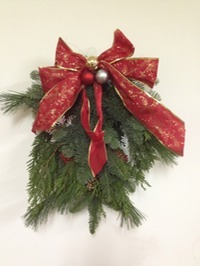 �WREATHS - We have individually hand made Noble Fir �and Western Red Cedar wreaths decorated with cones and accented with variegated Holly. 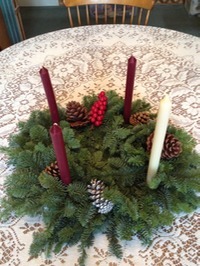 �We also have a Old English and Variegatged Holly Wreath. �HONEY - We produce two varieties of Honey from local nectar flows, Blackberry and Fire Weed that are available locally or can be shipped in a gift box. HAND TURNED WOOD ITEMS - We have hand turned wood items which include bowls, ornaments, pendants, and platters. 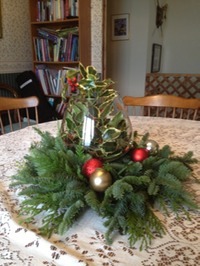 ALL OF OUR PRODUCTS CAN BE ORDERED AND PICKED UP LOCALLY. �Same prices with sales tax applied, but no shipping and handling charges. �Call us at 360-866-7708 to place your order and arrange a pick up.�A list of our site contents are below. �Click on a link to see our products.